Everyone shares responsibility for safeguarding and promoting the welfare of children and young people, irrespective of individual roles. Nevertheless, in order that organisations and practitioners collaborate effectively, it is vital that all partners who work with children – including local authorities, the police, the health service, the courts, professionals, the voluntary sector and individual members of local communities – are aware of, and appreciate, the role that each of them play in this area. vulnerable adults will have fun, achieve success and continue to participate in the sport. place at clubs out of season. put the welfare of the child first and use common sense to determine the best course of action. uphold the Core Values of our sport. Play to win – but not at all costs. Win with dignity, lose with grace. Observe the Laws and regulations of the game. Respect opponents, referees and all participants. Reject cheating, discrimination, violence and drugs. Value volunteers and paid officials alike. Rugby club and Constituent Body codes of conducts should encompass the Code of Rugby. in sport in a safe, positive and enjoyable environment. herself from assault, abuse or neglect. until his 18th birthday. The form may be found at www.rfu. is both physically and emotionally capable of taking part. management acts as a mentor. turn to if there is any issue which causes them concern. a child and the policies regarding children apply. respective responsibilities are set out in the Policy. are all examples of occasions when consent may be needed. and their relationship to the child. explanation of the application process is presented below. that a CRB disclosure may be required if appropriate. and an RFU Play It Safe training course. tick against their name, supervision is mandatory. be within sight of a qualified and suitably vetted coach. Sessions should always be conducted openly and visibly. than one coach should be involved in this training session. absences so that basic supervision levels are maintained. team on crbeapps@therfu.com or 0208 831 7454. Volunteers are not required to pay for their CRB application. the In Touch outlined below. course within 6 months of being appointed to their post. be supported and protected as they carry out their roles. a session particularly during the warmer months. especially where it relates to players under the age of 18.
relation to the amount of time any player is playing or training. acceptable or not and his decision is final. appearance of players’ names or nick names on their kit. Studs and Blades: these must not be sharp or abrasive. be replaced if they become worn or dangerous. in detail. Contact lenses may be worn. the additional factors which should be taken into account. should be located within easy reach of shelter and toilets. skills, in the context of fair play, sharing and co-operation. the game before joining those who are more experienced. and those of different clubs. affected by one or more amongst their players and members. competitive sports can often improve a child’s behaviour. officials and volunteers are covered for third party liability. season requires the prior written consent of the RFU. 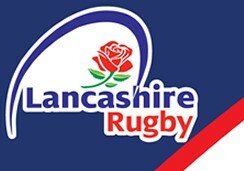 Event Report is available at www.rfu.com/firstaid. children, given their wide accessibility. its website which could harm a child, directly or indirectly. information about a child to people accessing the website. stranger target a child, or engage that child in conversation. of the attraction of a blog is that it is updated frequently. from the content of a blog it chooses to include on its site. remove any link immediately if concerns arise. (name, address, activities or interests) is also disclosed. see section on Photographic Images below. knowing truly who you are communicating with. facilitates the control of a child. with children connected with that club. communication in any given circumstances. the policies are followed fully and widely publicised. the ethos and spirit of the sport. seconds of it being taken, it is worth taking a moment to consider the issue of control. prevent photographs being taken for legitimate purposes. on club websites and promotional material. vulnerable adult being identified should never be used. showers or at any time when players are dressing. It is important to recognise the signs and indicators of abuse and to be aware of how it should be dealt with. • are frightened to say what’s wrong. another person harming that child or vulnerable adult. misappropriation of property, possessions or benefits. performance or in the case of a child, delay puberty. behave in sexually inappropriate ways. developmentally inappropriate expectations being imposed. world of social networking sites, emails or text messages. experience. Bullying will not just go away. bullied and not the intention of the bully. There are opportunities to bully at any rugby club or activity. strategies to avoid it being seen by anyone but the victim. and failing to adhere to the club’s code of conduct. themselves and the child/vulnerable adult in their care. dependency on the individual will be significantly increased. for inappropriate or illegal purposes. offence, even where there is apparent consent from the child. as well as to adults in the sport. The RFU’s aim is to create a culture where everyone feels confident to raise concerns without prejudice to their own position. accordance with the RFU Safeguarding Policy. Safeguarding Manager (CBSM) or RFU Safeguarding team. contacted should be obtained if possible before doing so. assistance of the parents/victim/witnesses as appropriate. with them throughout any investigations. child must be central to any procedures involving them. the appropriate course of action. the RMG or it’s Sub-Group. to the RFU by clubs, parents or statutory agencies. decision when an individual’s CRB certificate is received. provided which may indicate Police concerns. Child abuse is an issue which will generate media interest. publication of false allegations can do to an individual or club must not be underestimated. to be prepared in advance for potential publicity. important that the RPO is aware of all the details. • What to do when approached or contacted by a journalist. and the media they are working for. asking you. Ask them to repeat a question if necessary. You may or may not be aware of the incident concerned. journalist and inform you of that response. because one response has been given does not mean that the media will not have more questions in the future. Journalists like nothing better than going ‘off the record’. Whilst this document has endeavoured to address the majority of issues that a club might face, it is impossible to cover them all. the child first and use common sense to determine the best course of action. The England Rose is an official trademark of the Rugby Football Union and is the subject of extensive trade mark registration worldwide. Rugby Football Union (RFU), the national governing body of the game in England. Copyright Rugby Football Union.Published in 2012.
in rugby and as part of its work is keen to support equity and inclusion in the game.